Racers, you have the power right now to make a change and difference in your race program and that is what I hope to teach and show you over the next 12 months with the articles here on dragchamp.com. When starting racesponsorships.net, it was my goal to grow the sport of sportsman drag racing at the grass roots level. When I began to look at ways on how I could make my impact on Sportsman Drag Racing, I knew it would have to be through getting the racer involved first. I visit many drag strips around the country and have raced in some of the most prestigious and biggest money bracket races available to the sportsman racer in the United States. While attending these races it is obvious the stands aren’t filling up with spectators. Sure, the racers that aren’t in the race any longer come to the fence and watch and as you get closer to the final round that crowd grows: But where are all the fans in the community? Why are they not out here engaged in what we are doing? A few years back, I raced a bracket race at Galot Motorsports Park in Dunn, North Carolina. Galot is one of the biggest facilities in the Carolinas and is known for some of the most popular racing in the sportsman racing world. It was second round and after the completion of the round, the race promoters have a grudge race scheduled. This grudge race is between two popular racers from the Street Outlaw television show. I was one of the last pairs to go down the track before the Street Outlaws grudge race and as I turned the corner to pull into the water box, I couldn’t believe what I was seeing. The stands were full and when I say full, it was standing room only. As much as I would like to have thought they were there to see me, I knew they were getting ready for the grudge race that was scheduled to take place. I remember thinking this was the most awesome spectacle that I’ve seen and I was so pumped that I was getting to race in front of thousands of fans. Not many bracket racers will ever get to experience racing in front of that many fans and I believe it doesn’t have to be that way. So how do we improve and grow our sport and get fans in the stands? I believe it comes from sponsorships of grass roots race programs by engaging the community and local businesses with marketing partnerships. 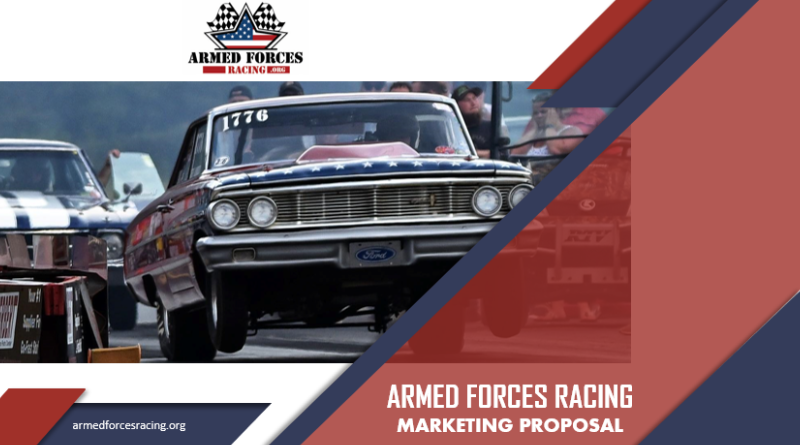 With these articles, I want to help you improve your program by showing you how to develop a marketing relationship with a person or company and explore ways to cross promote with tracks and other car owners/racers to make you and your program more valuable to sponsors, which in turn, grows the sport of grass roots racing! For more blogs on DragChamp.com, click here. What about incorporating some heads up match races or some 8-16 car shootouts at a bracket race (local or a big money one) and have it scheduled in the evening once the bracket cars are down to quarter finals. Seems like a win for everyone. Bracket guys gets cool down time. Fans come for the heads up racing but get some exposure to the bracket scene. Track stays hot with a good flow of action.